Share your submissions, photos, press releases and research with our News and Human Rights Library. 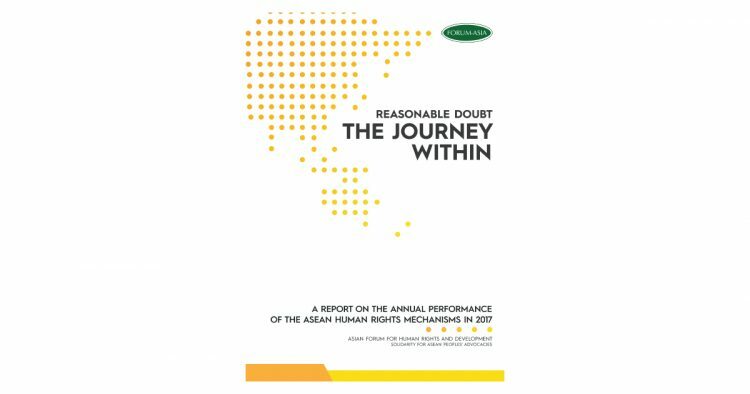 FORUM-ASIA, as the Secretariat of the Asian NGO Network on National Human Rights Institutions (ANNI), is delighted to present the publication of the 2018 ANNI Report on the Performance and Establishment of the National Human Rights Institutions in Asia. We would like to express our sincere gratitude and appreciation for all the indefatigable work carried out and the dedication shown by all 36 member-organisations of ANNI. We would also like to extend our sincere gratitude to the NHRIs that have contributed to the publication. human rights institution, during 2017 and the first quarter of 2018. The country reports are structured according to ANNI Reporting Guidelines that were consulted on, discussed, and framed by the ANNI members at the 11th Regional Consultation of ANNI held in Kathmandu, Nepal in March 2018. The 2018 ANNI Report analyses the performance and effectiveness of national human rights institutions across the Asia-Pacific region by employing the lens of the Paris Principles together with the General Observations of the GANHRI Sub-Committee on Accreditation (SCA) including, for instance, an examination of the mandates of the NHRIs, the pluralism of the national human rights Commissioners, and NHRIs’ engagement with civil society. This brief created by extracting the information FORUM-ASIA’s publication titled, The Instrument of Repressions : Regional Report on the status of Freedom of Expressions, Assembly and Association in Asia. The brief aims to elaborate the utilization of repressive laws within the Asian countries to restrict freedom of expression, peaceful assembly and association that contributes to the shrinking civic space in the region. Social justice, the rule of law and democratic values are under attack from leaders who tolerate no dissent from the authoritatian populist regyme that gaining power and influence across the region. In addition, the regional trend of further opression to the civic space, contributes to the heighthened intimidation and risks faces by Women and Human Rights Defenders across the region. Furthermore, the brief also posits recommendations for the improvement of the existing policies, which would enable progressive action by governments, policymakers, duty-bearers, non-governmental bodies, and other stakeholders. We hope that this brief will help nuance the imminent situation on the utilization of repressive laws that affecting Freedom of Expression, Assembly and Association in the region. The ASIAN Forum for Human Rights and Development (FORUM-ASIA) is proudly presents the Annual Report on the Performance of ASEAN Intergovernmental Commission on Human Rights and ASEAN Commission on Women and Children (ACWC). With the title “Have They Passed Their Litmus Test”, the report seeks to discuss progress and challenges of both institutions on carried out their mandate well as their engagement with civil society organizations (CSOs) to uphold human rights issues in the region in 2016. 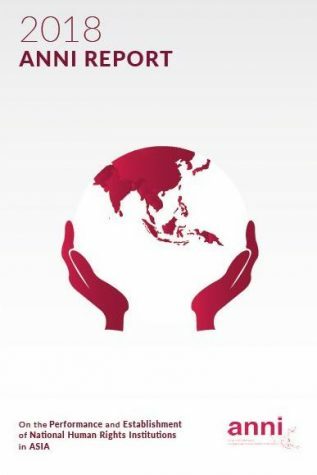 Despite of the consultative mechanisms status established by AICHR in the year in order to channel the engagement for civil society and the attempt of ACWC to echo information on regional action plans on eradicating violence against women and children (RPAs on EVAW and EVAC), the silence of both ASEAN human rights mechanisms for responding to human rights issues in ASEAN continued to remain a cause for profound concern. With the crackdowns in ASEAN member states, there is no other time better than this for AICHR and ACWC to exercise their mandate and hold ASEAN accountable. Through the report, FORUM-ASIA calls for strengthening the mandate of AICHR and ACWC from promoting to monitoring, protecting, and provide recommendations to address profound human rights issues in ASEAN, immediately by revising the Term of Reference for work of both mechanisms and establishing independent complaint and monitoring mechanisms that is accessible for CSOs beyond the consultative status. 27 March 2017 marked the first Armed Forces Day under the NLD-l ed government. Tatmadaw Commander-in-Chief Sr Gen Min Aung Hlaing declared the military 's firm commitment to "... the stability, unity and development of the country and monitoring to ensure that [the country] can walk firmly on the multi-party democracy path chosen by the people”. Despite such declarations, the Tatmadaw's behavior has consistently undermined the peace process, rule of law, and human rights, prompting UN Special Rapporteur on the situation of human rights in Myanmar Yanghee Lee to report “that the situation is now worse than at any point in the past few years. SUARAM calls upon the Government of Malaysia to cease its violations of human rights and adopt laws which are compliant with recognized international human rights standards and practice an inclusive and fair enforcement of the law to safeguard the rights of the people of Malaysia. Acknowledging the growing security threat posed by extremist groups, SUARAM urges the Malaysian Government to understand that human rights and security are not mutually exclusive but complement each other. Without human rights and civil liberties, all attempts to nullify the threat of extremism brought on by any terrorist groups will only be doomed to failure. This paper evaluates how the Burma/Myanmar Government has fared in the past year in addressing human rights issues in the context of recommendations by the United Nations. One year ago, the 31st session of the UN Human Rights Council (HRC) came at a crucial juncture in the country’s history as the newly elected National League for Democracy (NLD) - led government was about to take charge. The session saw the country’s UPR adoption, a report by the UN Special Rapporteur on Myanmar Yanghee Lee, and Council resolution 31/24 on the country. Later in the year, at the 32 nd HRC session, the UN High Commissioner for Human Rights, Zeid Ra'ad Al Hussein, released a report on Rohingya and minorities, which was followed by an updated report and set of recommendations by the Special Rapporteur to the 71st session of the General Assembly. Moving into the 34th session of the Council, how much has changed? This study examines this rapidly evolving landscape and its potential implications. It focuses on the ASEAN region, and draws examples particularly from the lower Mekong countries. However, it will also be of value to individuals and groups elsewhere in Asia and internationally who are monitoring these developments. The main focus is on the formation of the AIIB and the implementation of the One Belt One Road initiative. The paper also looks at other Chinese financial institutions, including policy banks andinvestment funds, assessing the potential impact they are likely to have in the region and beyond as Chinese outbound investment continues to grow. The aim of this guide is to help civil society organizations and community advocates gain an improved understanding of Chinese investors and China-led finance institutions and the guidelines, policies and standards that apply to their overseas operations. It is hoped that the information and ideas contained here will help community advocates protect the rights of project affected people, and in cases where harm does occur, that remedies are provided. This study, Strengthening and Harmonizing Labour Standards in ASEAN: A Framework for Union Advocacy, covers international labour standards on wages; working time; social protection, including occupational safety and health, social security and maternity protection; equality of opportunity and treatment and non-discrimination at work; freedom of association and right to organize, collective bargaining, social dialogue and tripartism; and labour inspection. A huge challenge for the NLD-led Government, however, is the process of dismantling the enormous influence of the Myanmar Army over the country’s governance structure and institutions including the day-to-day administration of the country that runs right down to village level through the ubiquitous, General Administration Department (GAD). As such, this briefing paper provides an overview of the GAD, along with an analysis into why wresting control of the administrative body from the Myanmar Army is essential for the future of the country.